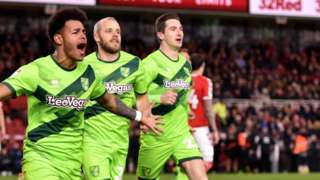 Norwich City beat Middlesbrough to register their seventh Championship win in a row and strengthen their grip on top spot. 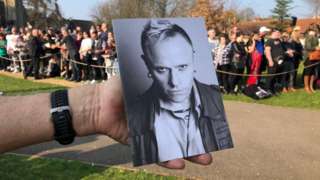 Thousands of Prodigy fans flocked to Essex to pay their respects to the band's late frontman. 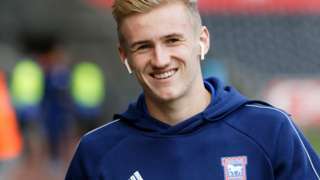 Ipswich extend midfielder Flynn Downes's contract until 2022, with the option of a further year. A1 Cambridgeshire northbound severe disruption, before B661 Perry Road. A1 Cambridgeshire - Queuing traffic on A1 Great North Road northbound before Buckden Roundabout, because of a broken down lorry and a broken down bus. If you're just joining us, we've been following the procession and funeral as music fans paid tribute to Prodigy singer Keith Flint, who died at his home in Essex earlier this month. 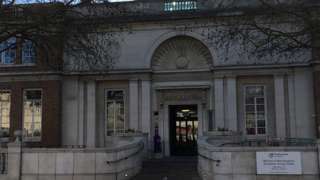 The coffin of Prodigy star arrived at his funeral to the sound of heavy metal music, applause and a shout of "live forever"
PC Harriet Clarke was cleared of gross misconduct over lifts from her partner who had a driving ban. Email Message: I wish to extend my well wishes to all the family, band and fans whose lives have been blessed by Keith and the Prodigy. Wish there were magic words to ease the pain of the ones closest to him. The ‘why’ may always elude us, Keith forged his own path through life, sometimes that vast energy is too difficult to contain. Had the pleasure of meeting Keith backstage at V97, obtaining tickets due to a loose familial connection. Only two years previously (aged 13), I had received Experience and Jilted Generation as a gift from my step-father. Didn't like them initially, too full-on for my, more mellow, popular taste. Something told me to persevere, that this was different yes, but in a ground-breaking way. By V97, I was a huge fan. Nothing, however, could prepare me for the raw energy of the live performance. I went back to Southend a more enlightened person. It was the perfect balance between technical wizardry and stage mastery. Still remains the most life-changing gig I have ever been to - Thank you. I wish to extend my well wishes to all the family, band and fans whose lives have been blessed by Keith and the Prodigy. Wish there were magic words to ease the pain of the ones closest to him. The ‘why’ may always elude us, Keith forged his own path through life, sometimes that vast energy is too difficult to contain. Had the pleasure of meeting Keith backstage at V97, obtaining tickets due to a loose familial connection. Only two years previously (aged 13), I had received Experience and Jilted Generation as a gift from my step-father. Didn't like them initially, too full-on for my, more mellow, popular taste. Something told me to persevere, that this was different yes, but in a ground-breaking way. By V97, I was a huge fan. Nothing, however, could prepare me for the raw energy of the live performance. I went back to Southend a more enlightened person. It was the perfect balance between technical wizardry and stage mastery. Still remains the most life-changing gig I have ever been to - Thank you. A14 Suffolk eastbound severe accident, from J44 A134 Bury Eastern Interchange to J45. A14 Suffolk - A14 closed and queuing traffic eastbound from J44, A134 (Bury Eastern Interchange) to J45, Rougham, because of a multi-vehicle accident. Congestion to J42. Diversion in operation - Traffic to divert via the A143 through Ixworth, A1088 through to Woolpit to rejoin the A14. These Prodigy fans have been listening to their music for 25 years and said they travelled four hours from Birmingham to be at the funeral. "It was so emotional and perfect for such a lovely guy. 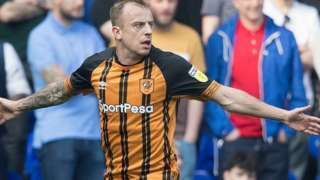 "We've got to thank the Prodigy for allowing the fans to join in today. It was amazing. "But part of our history's gone and it'll never be the same again without him." As the church service ended, fans gathered outside and began to cheer and chant "Keith". And it's turned into a party atmosphere outside The Retreat pub, based opposite the church. I reckon there's about 200 people partying on the street outside, with police keeping a watchful eye on things. As mourners start to make their way home, Wayne Harry from Colchester was among the people gathered outside the church to listen to the service for Keith Flint. He said: "He was such an influential icon of our generation. "It was a really sad service but it was good to see so many people here who thought so much of him. "I first saw the Prodigy in 1993 and have followed them ever since. "The energy he brought to the band... he'll be sadly missed by lots of people." M11 Essex southbound severe disruption, at J8 for A120. M11 Essex - M11 lane closed on exit slip road and very slow traffic southbound at J8, A120 (Bishops Stortford), because of a broken down vehicle. A minute's silence was followed by the Lord's Prayer and some final words from the reverend. He said: "We thank the fans for the outpouring of love they have shown. "Today, while we recognise we have lost Keith, his energy is still alive in us all. "Keith's life force is in each and every one of you. Don't let that fire go out. "Through you, Keith lives forever." A private service for committal for close friends and family will now follow. Delivering the eulogy, Paul Kaye read a tribute on behalf of Prodigy bandmate Liam Howlett: "You liked to live your life on the razor's edge for the buzz. "You were an anti-star, a pirate and committed to our cause of shaking people's souls and buildings."